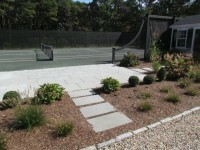 When we got the call from the client to build a new tennis court on a piece of land they had just purchased near their summer home on the Cape, we began with the usual questions in regard to surface options- who would be using the court, and how much use it would get during the course of a season. 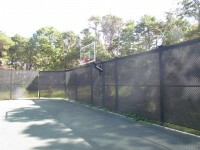 The owner and his family were avid players and they wanted to be sure that they built a court that the entire family could enjoy. 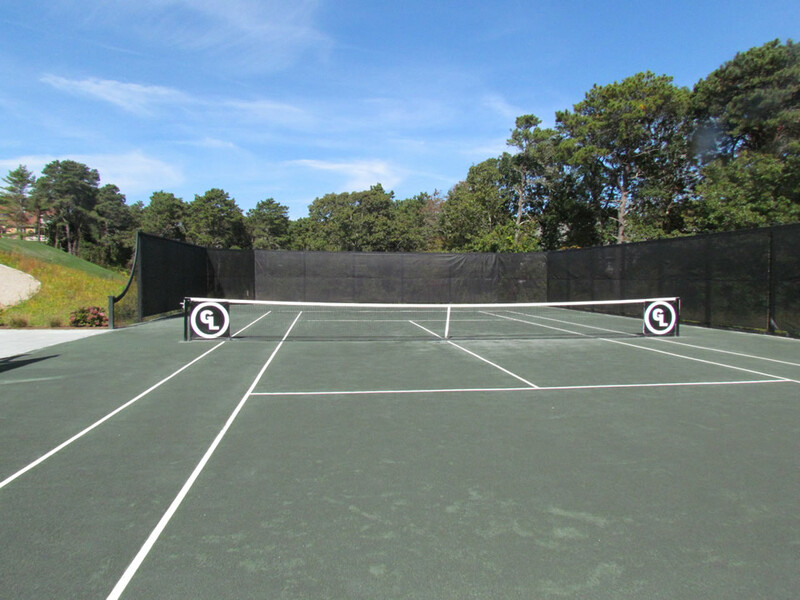 We looked at few different possibilities, including post-tensioned concrete hard courts with different cushioned options, and even played on few, including the Tiebreaker poured urethane surface. After much discussion and deliberation, the client and his family decided that the fast drying qualities and the cooler clay-like surface of a traditional Har Tru Court would best fit their needs. 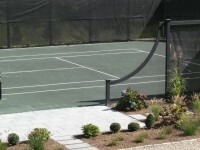 From there, they decided on a few options such as a cobblestone court border instead of the traditional brick, and a wooden post and beam fence which really adds a touch of class to this fantastic court. "I was very impressed with the professionalism and customer service orientation of the whole Cape & Island Tennis and Track team- from my initial dealings with Eric Loftus on through to the installation and maintenance teams. 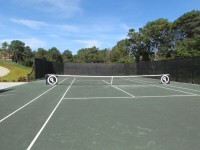 They are a delight to work with.... so much so that I am using them again to build another tennis court in a different location."